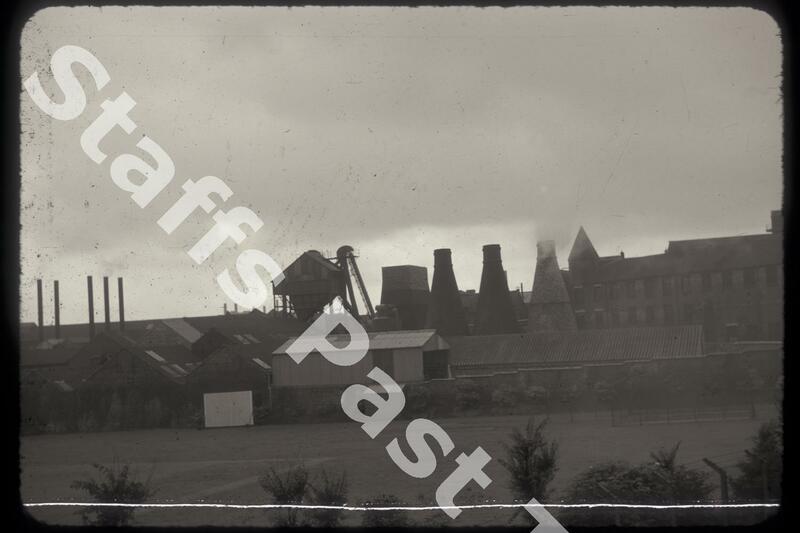 Description:The three ovens belong to Johnson's Trent sanitaryware works on Eastwood Road in Hanley. 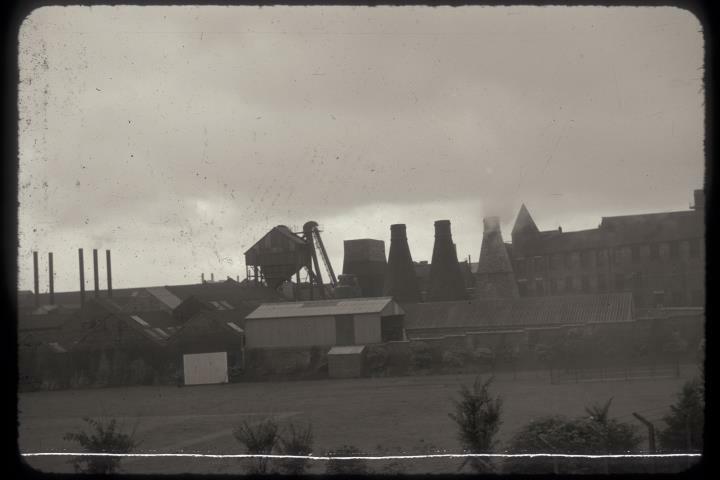 To the right, the factory with the tower is Johnson's Hanley pottery. In the foreground is the company's sports ground. The Trent Works opened in 1896 and closed around 2004 and was subsequently demolished. The Hanley works started four years later and were again demolished in 2005.